The timeless charm of classic, elegant solutions adds style and good taste to the composition of the interior. 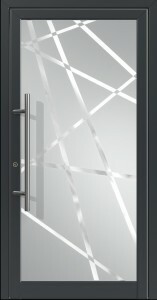 By creating a door with glass panel we focused on the fusion of two seemingly different worlds of design – superior performance, ensuring the highest degree of security and the subtleties of appearance, through which doors are a kind of business card of every house. 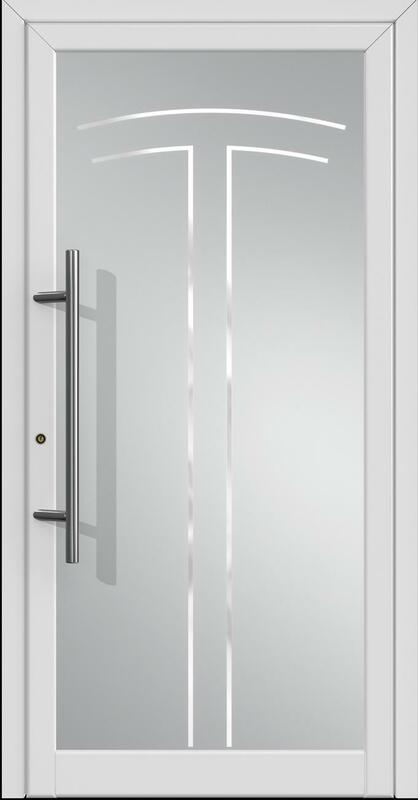 OknoPlus door is equipped with the secure package shaft, wherein the outer pane is subjected to the process of blasting, leaving transparent elements. 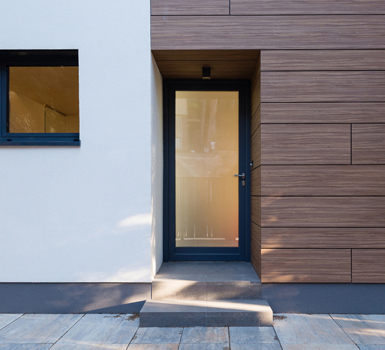 It is a solution valued by architects, attractive both in terms of price and energy-efficiency. With a wide personalization, aesthetic decisions are adopted even in the tiniest elements – of stainless steel door handles classical or modern, as well as the type of glass – from decorative and ornamental glazing stained glass, to the sophisticated Venetian glass. 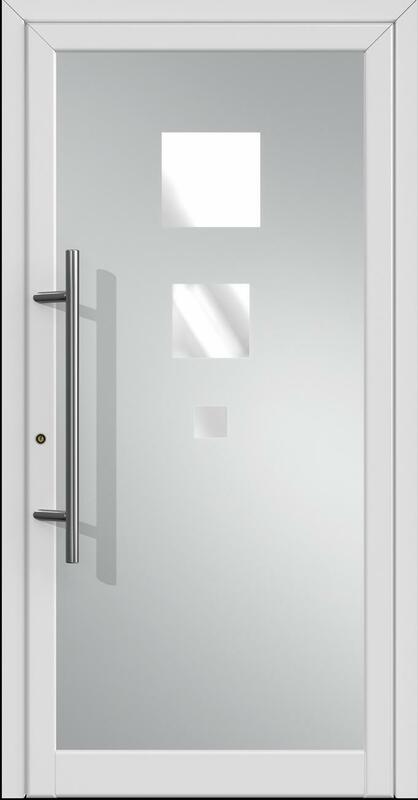 Specially designed heavy PVC profile, as well as the 2 mm thick steel reinforcement, guard the safety of your family members, and at the same time provide an interesting contrast to the elegant, individually selected glass panel in the door. 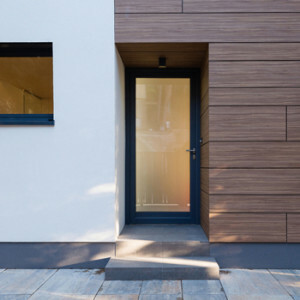 With this merger OknoPlus created a door for quite surprising thermal properties and aesthetic. When it comes to door locking, our Clients have the following possibilities: traditional key that could be additionally connected to fingerprint reader, RFID key, keyboard or Bluetooth. The timeless elegance of the model with glass panel is expressed mainly in the reaping of the best design practices. 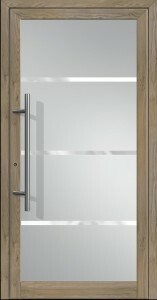 High-quality glazing available in several versions meets a wide range of modern stainless steel handrails, as well as an extensive range of classic door handles. Panel thickness up to 46 mm. 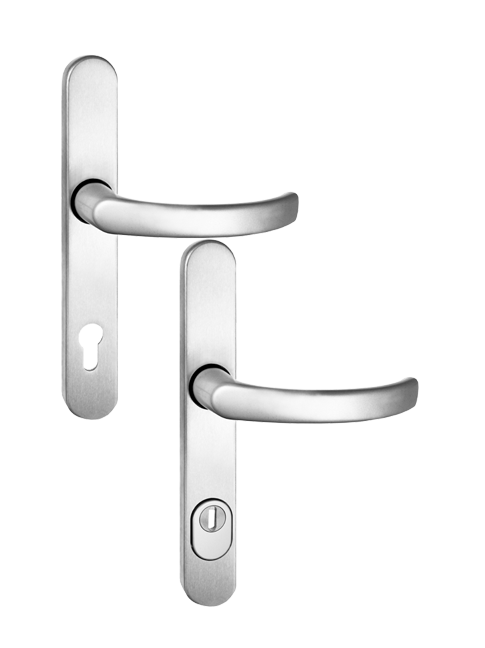 OknoPlus offers standard Winkhaus multipoint locking. 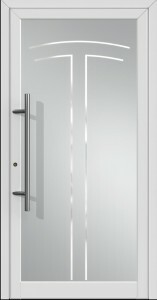 As a result, the door is secured not only in the central part where the lock is present, but also on the top and bottom parts of the door. 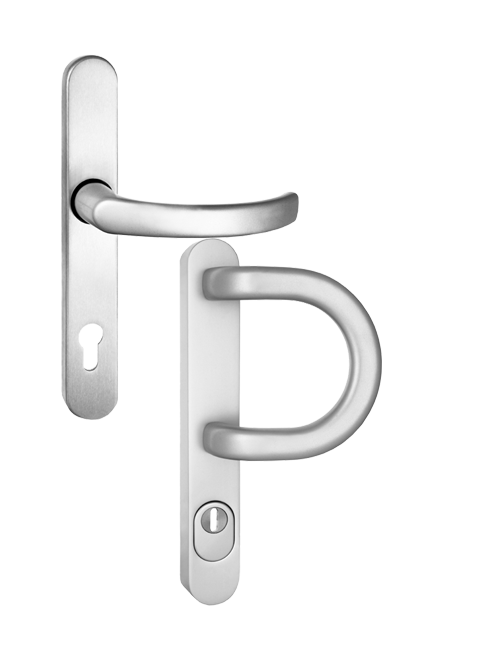 Optionally available is a version of the electric locking system. 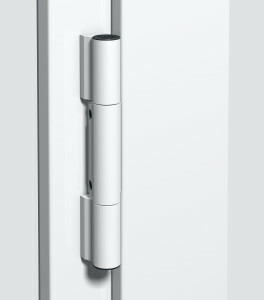 Two massive hooks block external doors tightly and securely. 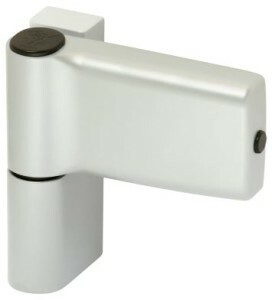 They automatically slide out, but unlocking occurs when you press the handle. 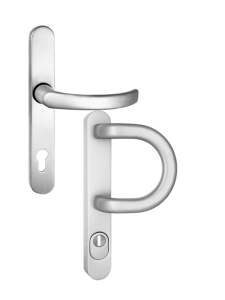 Hooks are made of two pieces: a sealing element provides optimal pressure and tightness, and a massive hook bolt (photo) – a high degree of safety. 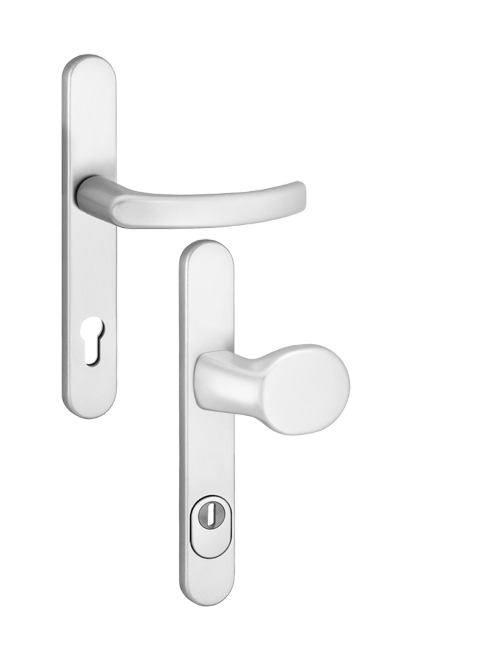 Safety and seal of the door is guaranteed by multipoint locking system, anti-theft lock, door handle with anti-burglary rosette, as well as the possibility to use patent class C lock and magnetic sensor – reed – which signals a possible burglary. 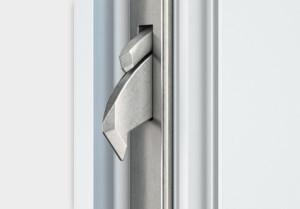 OknoPlus as the only company on the Polish market, additionally mounts as a standard 4-point lock on the hinge side. Classic doors are equipped as standard with a basic key-lock which after the construction work is finished should be replaced with a certified key-lock in the presence of the owner. 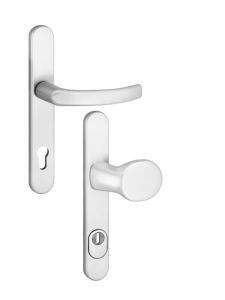 OknoPlus encourages to use key-locks patent class C. The key-locks are additionally protected against drilling by using an anti-burglary rosette. OknoPlus customers deciding on how to lock their doors have a choice: Patent key (equipped with a card on which the data are coded to perform duplicate), RFID key, remote control, keyboard, fingerprint reader and Bluetooth. OknoPlus Customers have a choice of two types of hinges: type Jocker hinges and cylindrical. 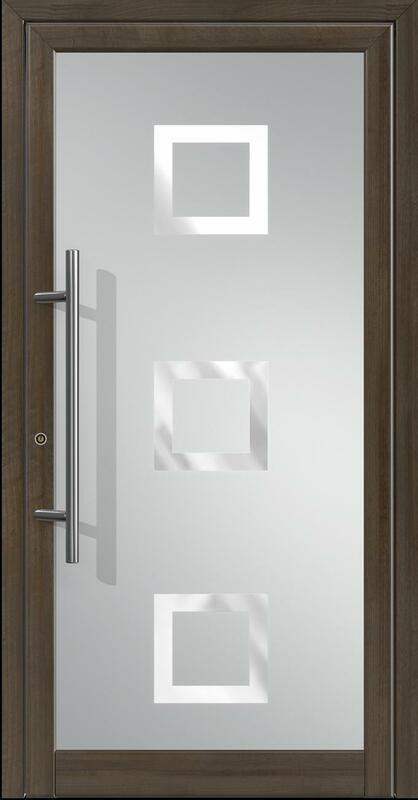 The company offers three types of door handles – chosen freely depending on your needs. For customers interested in more innovative solutions OkonoPlus proposes a wide range of handrails made of stainless steel. 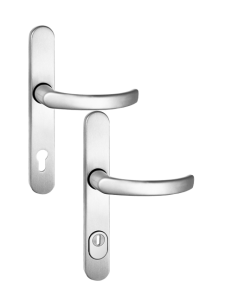 The door is equipped with a standard cylinder lock that can be replaced by the cylinder lock class C. For safety reasons the installation should take place under the surveillance of the owner. 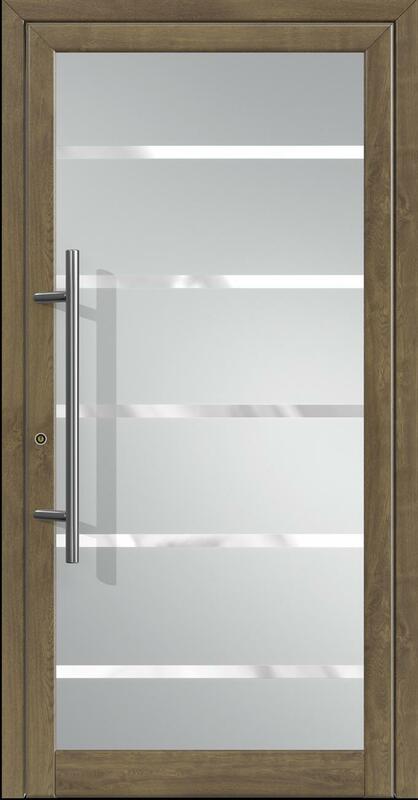 Thermal insulation properties of the doors must comply with the applicable standard. 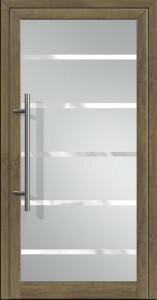 In OknoPlus Uw Classic for single-leaf doors is from 1.0 to 1.5 W / m2K, depending on whether they are full door or shaft package.